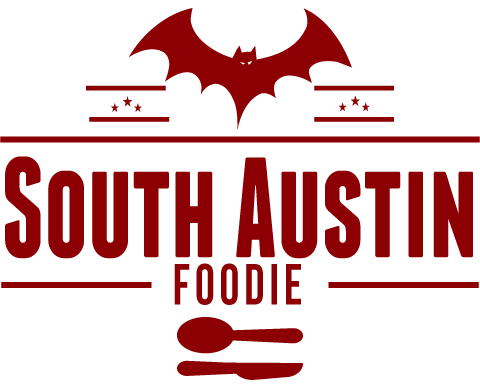 While I prefer local, independent restaurants, I do not totally eschew chain establishments. 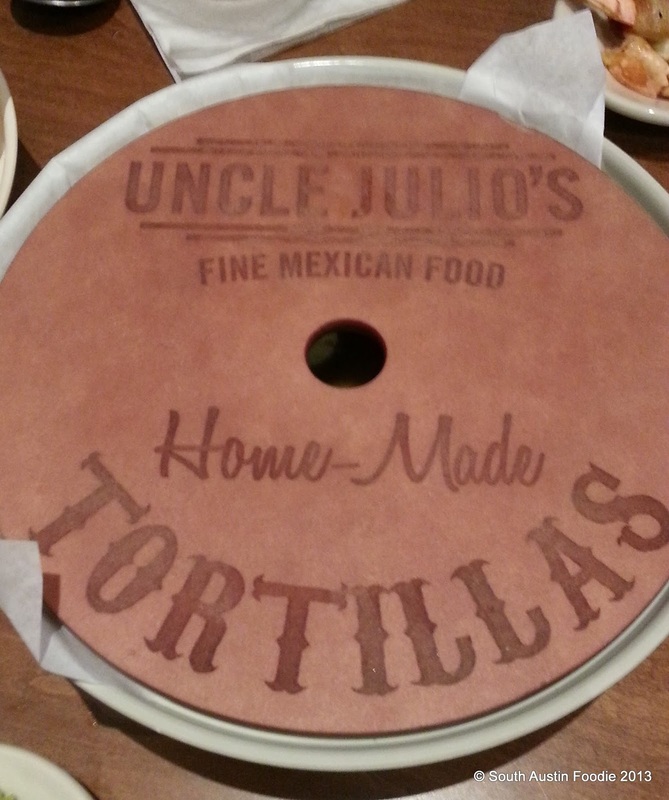 And in the case of the recently opened Uncle Julio's, I am happy to see they are Dallas-based, and with the Austin addition, have 17 locations in six states. I had been invited to the media preview back in mid-July, but couldn't make it at the time, so Uncle Julio's was gracious to invite me back for a meal. A friend and I met downtown for lunch on Monday, and had a really good experience. Disclosure: I was invited to try their foods in exchange for a blog post on my meal; I was not monetarily compensated. 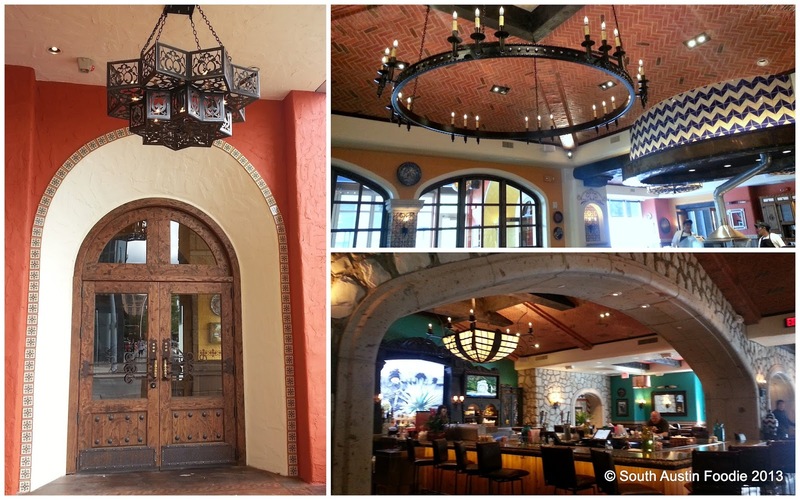 The decor is all-around gorgeous -- tall archways, big wooden doors, Mexican tile and pottery, big light fixtures, and pops of color everywhere. My smart phone photos of the interior don't do it justice. Every single person who worked at the restaurant that we encountered was welcoming, gracious, and proud of their products (several managers from front and back of the house stopped by our table to greet us). Our server was Laura, who was terrific from the get go. She took the time to explain how the menu was laid out, pointing out certain dishes, and directing us particularly to the mixed grill portion of the menu, saying these were the items they were known for and they prepared them particularly well. 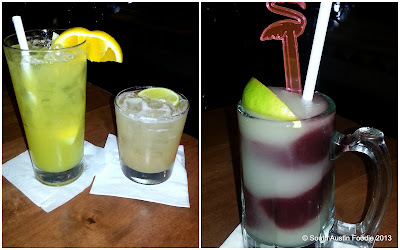 She also talked about the alcoholic and non-alcoholic drinks, and we started with mango passion fruit lemonade (non-alcoholic) and a guava rita, which is apparently under 130 calories! Loved both of these! I could actually taste passion fruit in the drink.Towards the end of our meal, she brought The Swirl, a frozen margarita/sangria combo, which they are known for; Laura said it was made with brandy and everclear, and it tasted like pure alcohol! This would be a great drink if you're staying in one of the nearby hotels or in town for a convention, but not if you have to drive anytime soon. We each took one sip and that was plenty. 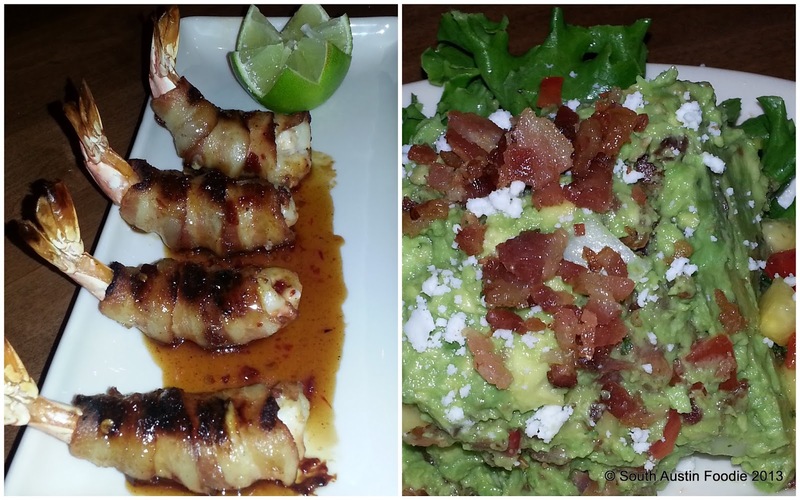 Laura got us started with a couple of appetizers, the pineapple bacon guacamole and the honey-jalapeno glazed bacon-wrapped shrimps. 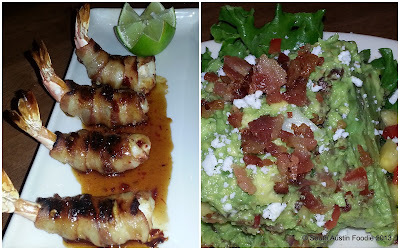 While the bacon on the shrimps was a bit flabby and needed crisping, the glaze had a really nice late heat kick to it, that got both of us sweating just a bit! The guac needed a little more acid and salt, but was certainly decent. And the house salsa, a dark roasted tomato concoction was excellent. Good flavors to it, a little touch of heat, and it was served just barely warm. Laura said that the salsa and guacamoles are made fresh continuously throughout the day. For our main courses, we took Laura's advice and both stuck to the Mixed Grill menu. 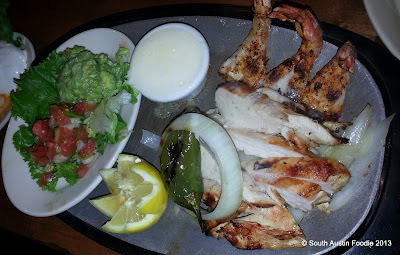 My friend had the Jalisco plate with butterflied shrimp and chicken fajitas. She said the shrimp were tasty, but not quite as exciting as the ones we had in the appetizer. I tried the chicken, which was nice and moist, and took the grill flavors well, but the texture seemed a little bit different; probably not a hormone + anti-biotic free, free-range chicken. And also a little unusual in texture but absolutely delicious was the foamy garlic butter. This would be good on SO MANY things! I had the Juarez plate, with pork ribs and beef fajitas; and while not pictured, both plates came with beans, rice, cheese, sour cream, and freshly made flour tortillas. And both plates came out sizzling hot, with steam still rising. It was nice to see a little bit of pink still on the beef; they too had good flavor, and I think fared better than the chicken as fajita meat. 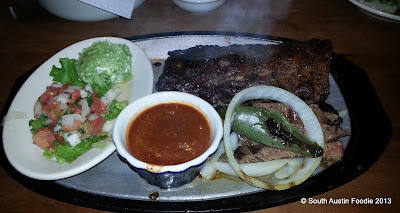 The ribs were REALLY good; as I went to cut the ribs apart, the meat practically fell off the bone. They're a dry-style, as in, not slathered with sauce while cooking, and they really didn't even need the sauce that was on the plate. My small bowl of beans was more tomatoes and onions than actual beans, so I can't really give a fair critique there; the rice was rather bland, unfortunately. Needless to say, there was plenty of food without these two elements, and we both had leftovers to take home. While we didn't need dessert, Laura brought us two of the house specialties, and boy, we were glad she did! 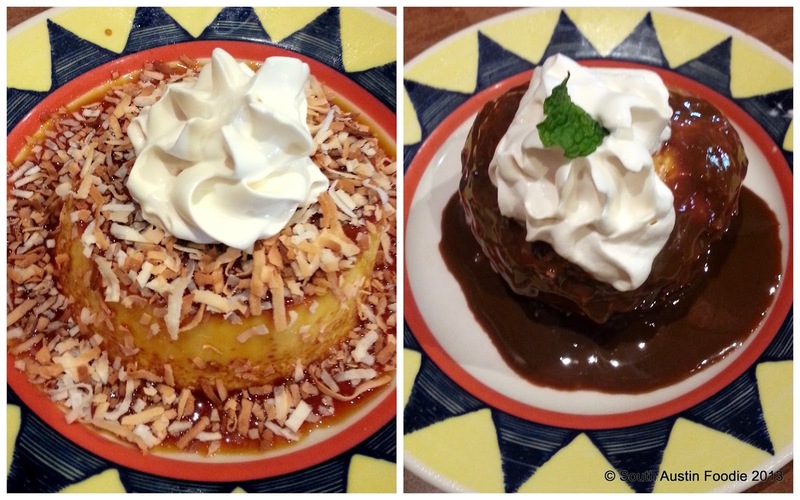 The coconut flan will make a flan-lover out of you! It was so smooth and velvety, and the toasted coconut just balanced it perfectly, along with the Kahlua whipped cream; the flan wasn't overly rich, though I probably couldn't eat a whole one myself. And while less photogenic, the Cajeta -- a fried scoop of vanilla ice cream (I think she did say they use Blue Bell), smothered in cajeta, a decadent caramel sauce that also went well with the flan. Both of these were stellar. Freshness certainly prevails at Uncle Julio's, as does a friendly, outgoing staff. It is a huge space, but they seem to be doing fairly brisk business. 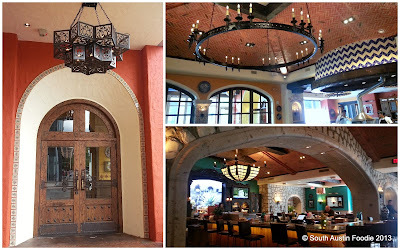 I can certainly see how happy hour would be a fun time there, and even returning just for dessert would be warranted. 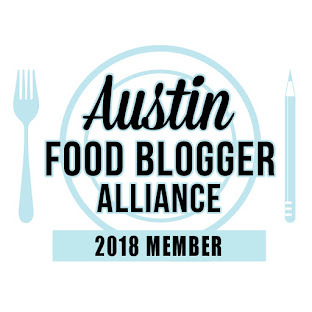 I hope the genuine friendliness and quality foods extends to all patrons, not just a local food blogger on the quest for good eats. * One thing to note, their address is listed on their website and Facebook page as 301 Brazos Street, #150, which to me implies the entrance is ON Brazos Street. Not the case. They are situated at the northwest corner of 3rd and San Jacinto, one block east of Brazos. Would love to see a note added to their pages about WHERE to enter!